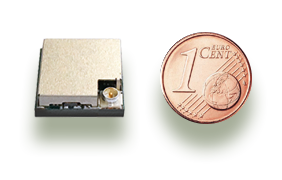 EMB-LR1276S is a 868 / 915 MHz wireless module that combines high performance to very small dimensions and low cost, providing the system integrator a simple and easy way to add LoRa / LoRaWAN long range connectivity into existing products. The EMB-LR1276S modules is provided with a embedded LoRa/LoRaWAN stack specifically developed by Microchip that allows to be compliant with the latest LoRaWAN specifications, allowing customer to develop firmware application and manage a compatible LoRa eco-system. The EMB-LR1276S modules are programmed with EBI-LoRa which allows the customer to use the modules as a simple, ready-to-use modem (using AT-like commands over UART; see EBI protocol page for more information). The evaluation kit EMB-LR1276S-EVK is strongly suggested to customers willing to develop their own firmware applications, since the kit provides all tools required to download a custom firmware on the module. EMB-LR1276S/UL – with micro U.FL connector for external antenna. Supported also via UART commands, thanks to Embit EBI-LoRa. Embit LoRa stack Supported also via UART commands, thanks to Embit EBI-LoRa. Please note: All the modules EMB-LR1276S are pre-programmed with EBI-LoRa.